The Beutii professional UV sterilizer box is used to clean surfaces of salon barber nail tool, headphones, toys, hearing aids, denture, stethoscope, lingerie, and many more. In its use, the entire process involves different phases like the ozone generation, sterilization, and ozone decomposition into oxygen. All these processes generate no residue or pollutant. 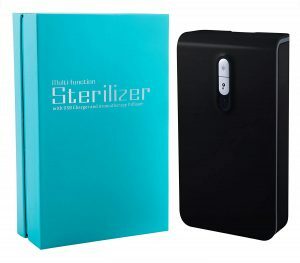 Generally, this sterilizer box works with the safety and environmental disinfection mode. With its use, you will perceive it’s practical and creative and design. In the product, there is the inclusion of a tube sterilizing lamp equipped with high light transmittance. This UV ray sterilizing lamp would generate UV ray with a wavelength of 185nm. At this wavelength, it is possible to destroy bacteria by eradicating or changing DNA. There are no adverse effects during use. It is found that the strength of the tube sterilizing lamp is identical to more than 20 times the sun’s intensity. Moreover, it works to destroy 99.9% of bacteria. With the size, 260 X 150 X100 mm and weight being 1200g, this box is basically a huge capacity sterilizing box. Using this box, it is possible to disinfect 5 toys simultaneously. During its operation, there is no unwanted sound generation. Overall operation is very simple and quiet. In the package, you will get this disinfection box, product specification, and a USB cable. Dedicated to providing the ultimate protection for your family, this product works to protect your smartphones and many other gadgets. This is a simple to use, plug & play UV sanitizer intended to remove bacteria and germs. This means that you can clean your phone right after the use. 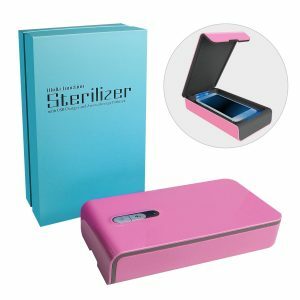 Moreover, this UV cell phone sanitizer is offered in a fashionable box, so it is an ideal gift for germaphobes. Those who are more conscious about their hygiene, this UV sanitizer box is just perfect. In less than 6 minutes, the box works to remove 99.9% of bacteria. You can easily protect yourself from injurious bacteria by sanitizing your phone on regular basis. Glancing at its structure, this sanitizer box is presented in ergonomic, compact and portable design. This kind of design makes it simple to use and elegant in appearance. There are many other sanitizers which feel bulky but this one would easily fit into your purse due to its compact size. Whenever you are at home, at work, traveling or present in the car, just put your phone in the smart UV sanitizer. After that, you just need to wait while the UV light sanitizes your device both front and back. Taking a look at its compatibility, this multi-use cell phone sanitizer is found compatible with cell phones and smartphones that are up to 6 inches. These include iPhone 6s and 7s Plus, Samsung Note 4, 5, Galaxy S7, and LG G3. 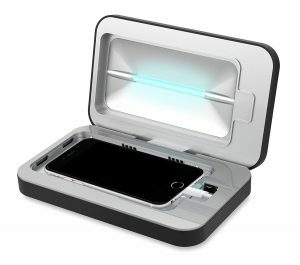 The PhoneSoap UV cell phone sanitizer is capable to destroy 99.99% of bacteria through UV light. Its patented design makes this sanitizer the only device to fully sanitize your phone. 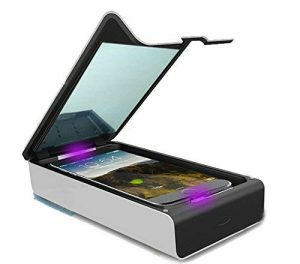 Basically, this cell phone sanitizer sits over a UV transparent plate and enclosed by scientifically proven germicidal UVC light as well as a reflective interior. Generally, the phones collect all the bacteria that we usually touch all through the day. Besides, our phones are Petri dishes inside our pockets and cleaning them is essential. Now you can stay healthy by maintaining cleanliness in your devices using PhoneSoap. What makes it an appealing cell phone sanitizer among customers is it can easily fit and charges the majority of the phones. Moreover, it can fit bigger phones like the iPhone 8 Plus. On the back, there is the availability of the two charging ports i.e. a USB and USB-C. It is possible to charge and sanitize simultaneously. Generally, our phones are 18x polluted than a public toilet. This is because we take our phones into many different places without taking any cleanliness measures. With the use of the PhoneSoap 3 UV cell phone sanitizer, clinically proven results are guaranteed. Its powerful UV-C light is found completely safe for electronics. This light is capable to kill 99.99% of germs and can easily penetrate the microorganisms that conceal inside crevices. To simplify the buying process, this sanitizer is available in a wide range of colors, right from white to amusing colors like aqua and gold. All these colors are dedicated to suit your decor and style. Its working operation is capable to fit small or big phones. Actually, this cell phone sanitizer fits different smartphones from Apple like iPhone X, iPhone 8 Plus. Also, it fits Samsung Galaxy Note 8, Google Pixel 2 XL, and many large phones. Now you can ensure complete protection of yourself and the things in surrounding by regularly sanitizing your phone. The PhoneSoap 2.0 phone sanitizer makes use of UV-C light treatment. This light treatment is intended to remove up to 99.99% of harmful bacteria as well as germs in less than 10 minutes. Apart from phones, this sanitizer from PhoneSoap is capable to accommodate lots of household germ harboring things like watches, keys, credit cards, and tiny baby toys. Basically, this product’s internal dimensions are 6.8 L x 3.74 W x 0.78 H(in inches). These dimensions are capable to fit the majority of the phones. In the interior of this PhoneSoap 2.0, there are two UVC lights along with the reflective paint to cover the light fully around your device. 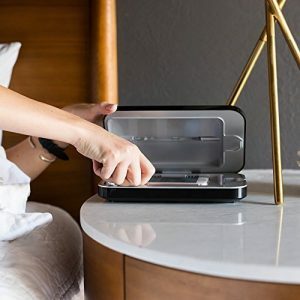 Once you shut down the lid on this sanitizer, the UV lights will be emitted automatically and continue for approximately 10 minutes. Also, there is a blue light illuminating through the lightning bolt which denotes that your phone is being sanitized. After the completion of the sanitizing process, the UV lights along with the blue glow would diminish automatically. 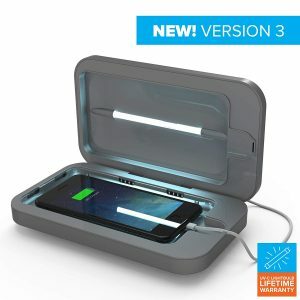 This smartphone UV sanitizer is popular for its extensive uses. You will find the use of this product for phones. 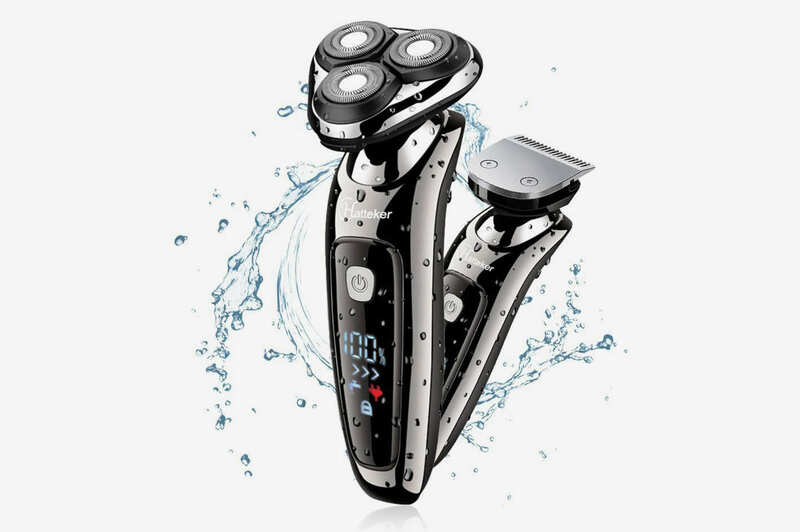 Moreover, it will also fit mp3 players, iPods, watches, Bluetooth earphones, socks, underwear, forks, knives, baby’s toys, toothbrush, eye-glasses, jewelry, keys, and makeup objects. It is found that this portable UV sterilizer is equipped with the aromatherapy functionality. You just need to put your preferred essential oil over the aromatherapy inlet then press aromatherapy switch to begin. After 8 minutes, it would stop automatically while aromatherapy is completing. After the use, your device would smell wonderful. It comes with the built-in charging port, so it can charge and sterilize your phone simultaneously. There is no need to power off. Actually, its structure comes with the two internal cables; one of them is used for smartphone while the other one is used for IOS and Android device. The wide usages of this sanitizer prove to be the perfect gift on occasions like birthday, Valentine’ s Day, Christmas, Thanksgiving Day, Father’ s Day, Mother’ s Day and several other occasions. The MIFAVOR UV sterilizer box is used for wide applications. Apart from phones, this sanitizer is suitable for iPods, watches, mp3 players, jewelry, keys, knives, forks, socks, underwear, Bluetooth earphones, baby’s toys, and many other products. This phone soap sanitizer is capable to destroy 99.99% of bacteria within 6 minutes. It comes with a USB port to charge different kinds of cell phones. These include iPhone 6 plus, Galaxy Note5, and Huawei mate7, etc. All the smartphone and cell phone up to 7 inches are protected effectively. With the help of a built-in charging port, this UV sterilizer box can safely sterilize and charge your phone simultaneously. It is very important to sterilize smartphones and many other products on regular basis. 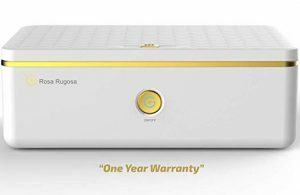 The above-discussed smartphone UV sterilizer box and ozone disinfection product would effectively eliminate bacteria, germs, and other impurities.